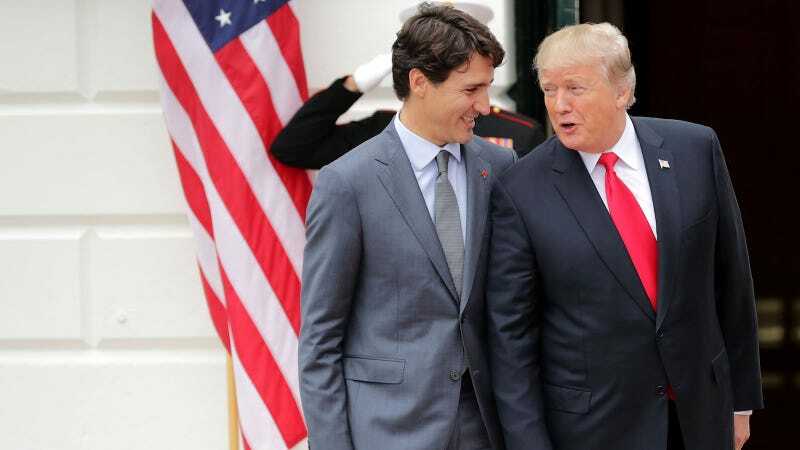 Donald Trump, the congealed bacon fat coating a McDonald’s griddle, openly admitted to lying to Canadian Prime Minister Justin Trudeau about our trade relations. Very good. Trudeau was, of course, correct. The Associated Press reports that, according to a representative at the Office of the United States Trade, the U.S. runs a trade surplus with Canada. “It reports that in 2016, the U.S. exported $12.5 billion more in goods and services than it imported from Canada, leading to a trade surplus, not a deficit,” according to the AP. There is no lie too great—or too small, or too transparent, or too dumb—for Trump, who has made more than 2,000 false or misleading claims as president. His lying is so out of control that his lawyers apparently fear he will perjure himself in the Russia investigation.